EUR is getting stronger than USD due to the weak data and Fed officials’ unclear remarks about the rate. 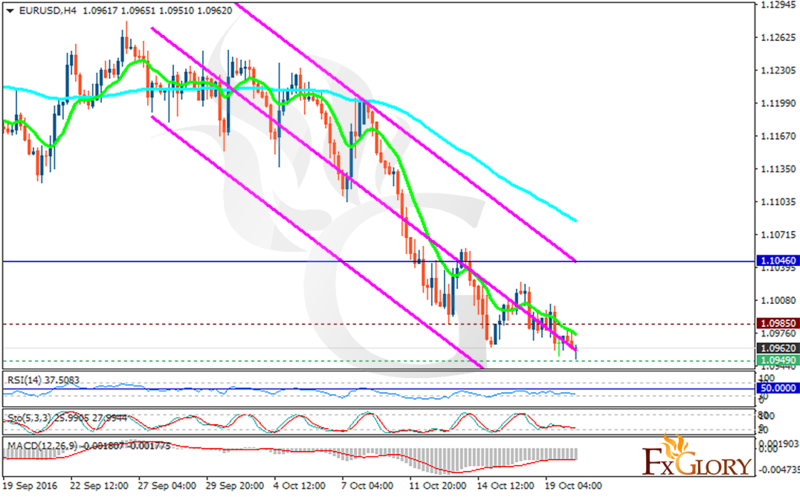 The support rests at 1.09490 with resistance at 1.09850 which both lines are below the weekly pivot point at 1.10460. The EMA of 10 is moving with bearish bias and it is located below the EMA of 100. The RSI is moving below the 50 area, the Stochastic is moving horizontally in low ranges and the MACD indicator is in negative territory. The support level breakthrough will smooth the way for further decline targeting 1.0900.